Stuck on stories? (As a user, I want to .... etc ). Maybe you're stuck on who the user is, especially if it's a system actor. How about features? They're not stories in the SCRUM story sense, but useful nonetheless. How about FDD as a feature driven methodology? Mike Cohn at mountaingoat software has some similar thoughts about FDD. Oops! This is all strange stuff? Read my whitepaper on slideshare.net. Do the model -- what objects, what actions, what results? 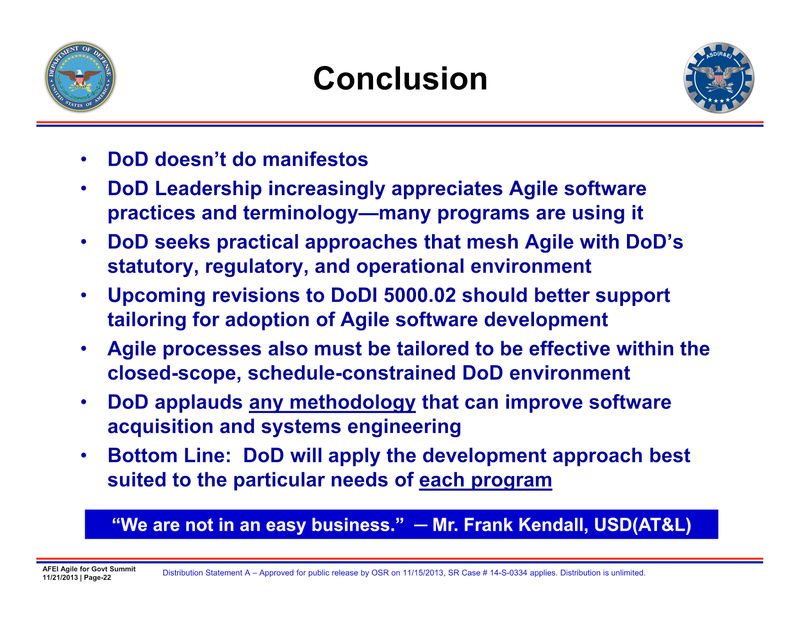 Unlike some other Agile methods, FDD practices are built around feature teams that are charged with delivering certain backlog (features: action, object, result). And the teams work to more conventional schedules (no time boxes) but still deliver stuff early and frequently, just like other Agile practices. Check out this very lucid white paper on the nature of risk. You'll like it. Wish that it were true, but: Not exactly! "Futures that never were" never were only if the RM was successful at mitigation, or--on some probability--basis the future never got here. Otherwise, our historians are the prognosticators of futures that actually were--they put it on the risk register and it actually happened! “Our conventional modernization programs seek a 99% solution in years. Stability and counterinsurgency missions—the wars we are in—require 75% solutions in months. The challenge is whether in our bureaucracy and in our minds these two different paradigms can be made to coexist”. Since that speech, the Defense acquisition management system has been revised twice. Now, there is official sanction for faster methodologies with lower overhead. You can read about it here. Pay special attention to the six acquisition models, and particularly Model 3 for incremental capabilities. When he says in the 4th bullet point "upcoming revisions to 5000.2", he is referring to the DoD instruction for operation of the Defense acquisition system, revised in the fall of 2013, and then revised again in January, 2015. 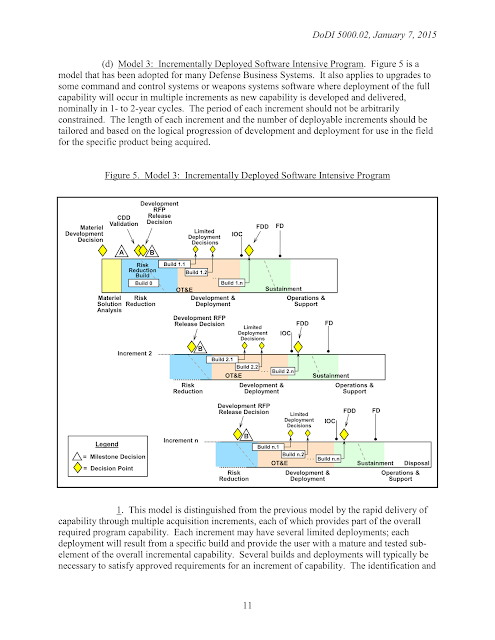 This latest version of the instruction describes six models of how to acquire systems, the third of which, Model 3, describes an incremental methodology that is "agile" like. Of course, there are a lot of non-development swim lanes and pre- and post- tasks, as you would expect in an organization accustomed to working at large scale. 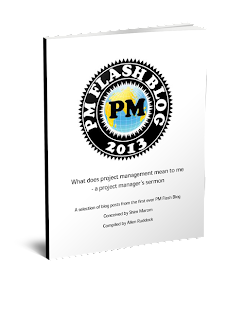 There are, of course, a myriad of "how to" acquisition guides for the program manager. 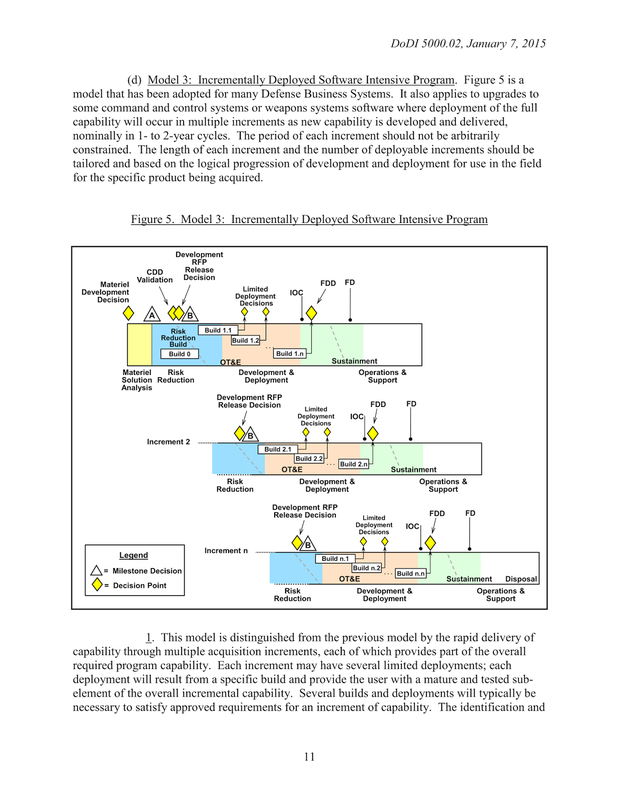 Mitre, a DoD think tank contractor, has a decent acquisition guide written in 2014. You can download a pdf here. And, so what do we make of this? I'll bet most of us have sat down to negotiate and have come away with war stories of the experience, perhaps feeling smug we got a good deal, but more likely feeling we did OK and got enough to walk away with head high. Another way to look at this is that those without the responsibility can always find what's wrong with what you did; those who are responsbility-free can wax on about "you should do this, or you shouldn't do that" without concern for burden of being actually being accountable for strategic and tactical consequences. It's easier when you not actually in charge. Of course, if you're not at the table and you feel the need to criticize, come with a solution or an alternative that's actually practical. Indeed, you might find that such insight might be your ticket to the table! 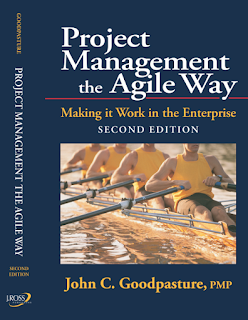 And, the book's architecture has been restructured to look more like an agile project to facilitate learning and teaching: each chapter is like a release; each chapter is divided into modules -- like a sprint; and each module is a useful deliverable. 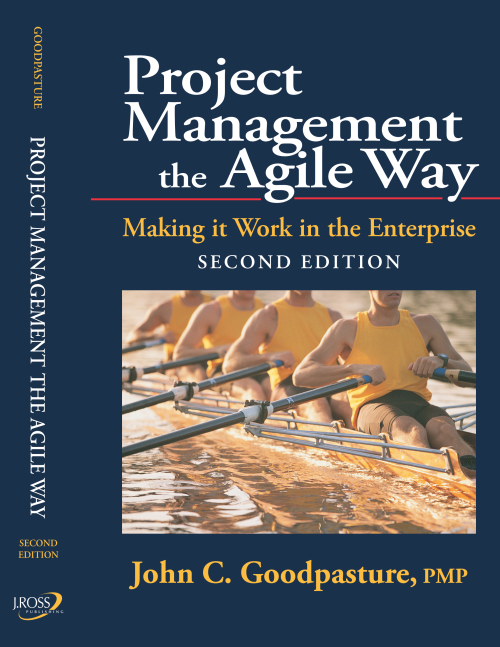 The 1st edition made the list of best books on agile two years in row. I'm grateful for all the readers who voted for the book, and of course I'm most grateful for all the readers who bought the book and made it possible to update and issue the 2nd edition.